Outstanding bass no longer has to fill up your entire trunk!!! Earthquake Sound is offering an amazing package of power and performance to add to your trunk. 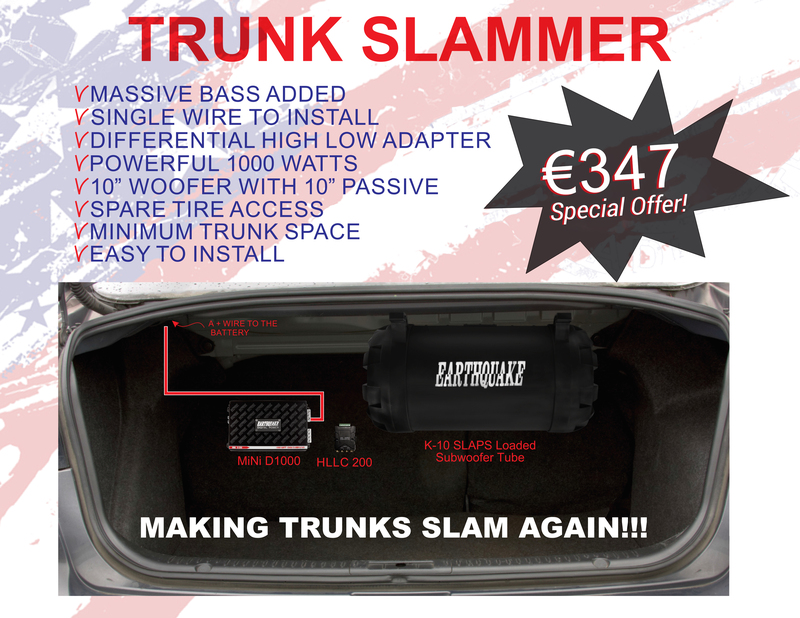 The Trunk Slammer includes a K-10 Subwoofer Tube with the SLAPS Passive Radiator, Mini-D1000 amplifier, and HLLC-200 Differential High Low Adapter to make installations a breeze. EQ’s Trunk Slammer will add massive bass to your ride without taking up your entire trunk space. Full Bundle Price (incl. VAT): €347 / DKK 2569. Contact us to reserve your All-in-One Bass Bundle today!